Jumla, Dolpa and Jomsom trail is one of the longest and highest treks in the Himalayan country Nepal. 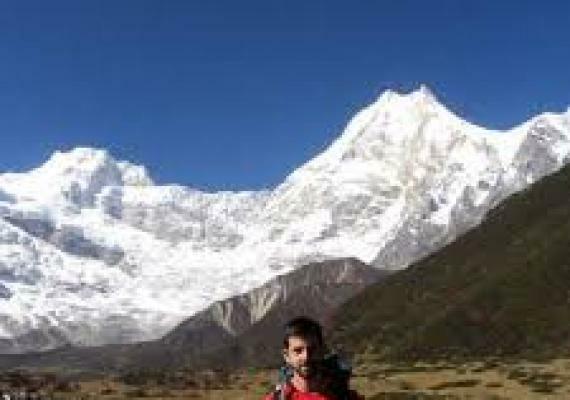 Trekking in the Himalayan country is one of the best ways to enjoy the beauty of the Himalaya and experience the adventurous trekking destination of the world. This amazing trek offers an opportunity for exploring the entirety of Nepal from east to west in the shadows of the world’s highest peaks. Winding beneath the world’s highest peaks and visiting some of the most remote communities on the earth provides lifelong experience to the one life. Jumla, Dolpa and Jomsom trail is long enough even though it doesn’t require technical equipment’s to climb the highest Himalayans. We get to explore numerous high passes above 5000 meters and the great Himalayas. Jumla, Dolpa and Jomsom trail passes subtropical jungles to high altitude alpine ecosystems, lush green valleys, incredible landscapes, arid high plateaus through the beautiful villages of Hindus, Buddhists, Sherpa, Tamang, Magar and many more ethnic settlements. Jumla, Dolpa and Jomsom trail is one of the world’s greatest adventure destinations for the exploration and authentic cultural experience. Along with this Jumla, Dolpa and Jomsom trail, you'll encounter some of the wildest and most remote mountain environments that you never imagine. Nepal is the land of massif snow peaks, fluttering prayer flags, lofty mountain adventures and yak caravans. Jumla, Dolpa and Jomsom trail passes along the far west Humla, Dolpo. It is a wonderful opportunity to view some of Nepal’s 8000-meter peaks, crossing some of the passes ranging from moderate to challenging and witness ethnic settlement and observe their unique culture that has remained intact for centuries. The challenging Jumla, Dolpa and Jomsom trail will surely be countered with immense satisfaction and a truly unforgettable lifelong memory. Jumla, Dolpa and Jomsom trail was officially open as a trekking trail in September 2011. Day 01- Arrival day at Kathmandu. Cross the high passes; Newar Pass (5120m), Nyingma La Pass (5563m), Chyargo La Pass (5150m) and many more. Buddhist Gompa, famous for Chapel, a prayer wheel. Day 1 : Arrival day at Kathmandu. After breakfast, meet the city tour guide, then begin the day with sightseeing tours of Kathmandu Valley. A full day sightseeing takes you to Pashupatinath Temple, Patan Durbar Square, Boudhanath Stupa and Swyambhu. Pashupatinath the holiest Hindu Temple on the bank of sacred Bagmati River, Bodhanath Stupa-the biggest Buddhist Stupa architecture in the world. Patan Durbar Square is the oldest city in the Kathmandu valley with old tradition also called Lalitpur-the city of fine arts. This visit covers the Durbar Square, the Krishna temple, the Kumbheswore temple, the Golden temple and many more. Swayambhunath is a popular tourist’destination in Kathmandu amongst Buddhist, situated on the top of a hill, west of Kathmandu. In the evening you will meet your trekking guide who will deliver your trekking equipment. Take your time to pack and be preparing for an early morning start. Today, after early breakfast, we will take an air-flight from Kathmandu to Nepalgunj. Around 40 minutes scenic flight takes you to the beautiful city Nepalgunj, nearby Indian boarder. As you reach to Nepalgunj, our representative will take you to the Hotel in Nepalgunj, where you can do some rest and relax. In the evening, you can explore the Nepalgunj market and native settlement. Overnight at Nepalgunj. Today, after early breakfast, we will take an air-flight from Nepalgunj to Jumla. As you reach to the Jumla, a delightful valley where you will get chances to see wonderful rice paddy cultivation. You will stay overnight at Jumla. In this day, after breakfast, we will leave Jumla and head towards Chere Chaur, at the altitude of 3055m. Today we will officially begin our trek by ascending up to Chere Chaur along the Jugad Khola. On the way, we pass vibrant Khalanga Bazar, a small marketplace for the nearby villages. We also pass a couple of beautiful native settlements and a temple before reaching our destination. Overnight in Chere Chaur. In this morning, after breakfast, we will continue our trek towards Jaljala, which is situated at the altitude of 3270m. The way to the Jaljala, we will cross a stream and contour around the head of the valley and reach to the impressive Chauri Khola(3090m). The further trail will be through a beautiful meadow forest and finally reach Jaljala. Overnight at Jaljala. In this day, early in the morning after having breakfast, we will make our trail towards Sinja, situated at an elevation of 2440m. We begin our trek through the beautiful pines, birches, and oaks. Continuing on the trail we pass also a few scattered houses, barley and corn fields before reaching to the Dhobi Khola. The trail will take us to the beautiful Sinja Khola crossing a wooden cantilever bridge and finally reach the Sinja. Overnight at Sinja. Today, after early breakfast, you will head towards Gorosingha through the fertile valley and heavily populated region of Brahmin and Chettri village of Sinja, which is capital of the Malla Dynasty where you can visit ancient Malla Durbar and Tripura Sundari Temple. The further trail will lead us to the Gorosingha. overnight at Gorosingha. 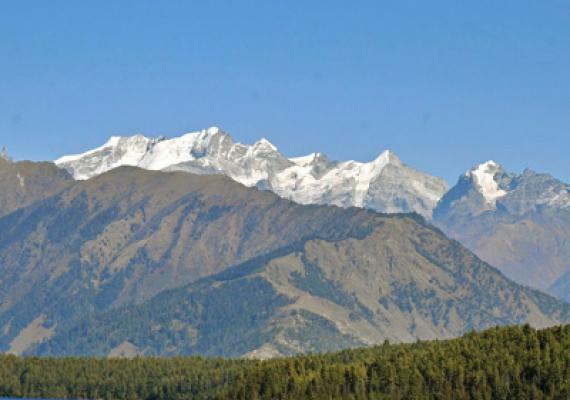 Next morning, after having early breakfast, you will leave the beautiful Gorosingha and head towards Rara Lake by following mixed of beautiful pine, spruce and rhododendron forests which also offers you an excellent view of the Rara Lake and the western Himalayas. Further, you will straight down to hill through the beautiful Majhghatta and Khtyar Khola (river)you will reach to Rara Lake. Overnight Rara Lake. After we start heading towards Lumsa. We will begin our trail around 200m ascend through the beautiful forest of sal and reach to check post. After check post we will descend down around 1200m up to Lumsa. Overnight Lumsa. In this day, after morning breakfast, we will leave Lumsa and heads towards Mangri, at the altitude of 2270m. We will walk through Mugu Khola and most often we need to cross a suspension bridge over Mugu Khola. As you reach to Mangri then you will head towards Camp3, on the way, you can witness several small tea houses where you can have tea over there. Overnight Camp3. After breakfast, we begin our trail slowly ascend and reach to Tiyar and further trail around 400m through the Mugu Khola and after you will cross the Khola, you will trek ups up to Camp. Overnight at Camp. In this day, after morning breakfast, we will continue trail around 5 hours to reach Camp. Today we make our trail gradually ascend till we reach Camp. You need to trek through the small dense forest. Overnight at Camp. As morning rises, we will have breakfast, and continue our trail towards Thajuchaur, which is situated at the altitude of 4050m. Today also you need to trek around 4 hours steeply ascend to reach Thajuchaur. Overnight at Thajuchar. After mornign breakfast, we will leave the beautiful village of Thajuchaur and make our trail onwards Takla Khola by passing Chyargo La. Today we need to walk around 6 hour to reach our todays destination. Todays trail will be around 1100m ups and 1300m down through the river and finally reach Takla Khola, at the summit of 3785m. Overnight Takla Khola. Next morning, after breakfast, we begin our trek through Takla khola to Chyandi Khola, which is situated at the altitude of 4650m. Today's way will be steeply up around 900m to reach Chyandi Khola. It takes around 7 hours trail to reach wonderful Chyandi Khola, which is situated at the summit of 4650m. Overnight at Chyandi Khola. Today, after morning breakfast, we will leave Chyandi Khola and continue our trail towards Pung Kharka by following Yala La. Around 6 hours ups and down trek will take us to Pung Kharka, which is situated at the elevation of 4500m. Overnight at Pung Kharka. In this day, after breakfast, we will continue our trail towards Phophagaun, at the elevation 4087m. 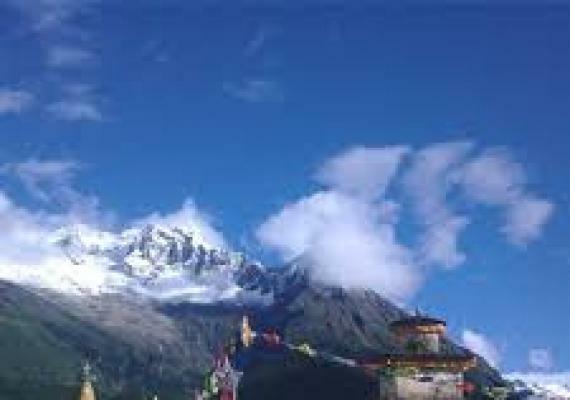 During the way, you will visit very famous Nyingma La pass and continue trek towards Phophagaun. Today's trail is quite long, we need to walk around 8 hours ups and down till we reach the Phophagaun. Overnight at Phophagaun. Today is the rest day for exploring the Phophagaun. As we explore the Phophagaun, we begin our trail after breakfast, a whole day, around 7 to 8 hours, we need to make our trail ascend and descend until we reach to Kuwagoan, at the summit of 3500m. Overnight at Kuwagoan. In this day, after morning breakfast, we will leave the beautiful village of Kuwagoan and heads towards Yuldo, which is situated at the elevation of 4350m. First, we will ascend around 1200km route and also some time slightly descend during our trail and finally reach to Yuldo. Overnight at Yuldo. Today, after morning breakfast, we will continue our trail towards Yangier Gompa, which is situated at the elevation of 3900m. Around 4 hour small ups and down trek will take us to the Yangier Gompa, where you will get an opportunity to explore the Yangier Gompa and many other small Gompa. Overnight at Yangier Gompa. Today, after morning breakfast, we will continue our trek to Shimen, which is situated at the altitude of 3850m. The way to the Shimen, we will pass Komash village, where we can witness some endangered animals like a snow leopard or Blue sheep. During our trail we will also visit small villages, situated in the landscapes in the vicinity is full of highland deserts with few shrubs like vegetation. The further trail will provide you an opportunity to explore small pass Shimen La (4260m) and reach to Shimen. Overnight at Shimen. After breakfast, the trail goes by the side of the beautiful Panjyang Khola. On the way to Tinjegaun, you will pass some villages and gompas and reach to Tinje. Tinje is a very beautiful valley. There is a natural airstrip where once a British aircraft had landed and taken off. Overnight at Tinjegaun. In this day, after breakfast, we will continue our trek towards Rapka Khola, which is situated at the elevation of 4635m. Today, you will make an easy trail and reach to the beautiful Rapka Khola. Overnight at Rapka Khola. In this day, after morning breakfast, we will leave Rapka Kmhola and heads towards Chharka Bhot, situated at the elevation of 4110m. The way to the Chharka Bhot is slightly down through the beautiful Khola. As you reach to Chharka Bhot, you will discover some of the ancient Gompa over there. Stay overnight at Chharka Bhot. Today is the rest day at Chharka bhot. After breakfast, we will begin to explore the place, first we will discover Buddhist Gompa where you can see Chapel, a prayer wheel and you will ascend up through the ridge chortens and view three white prayer flags on the way with the view of Chharka, the Barbung Chu, Jagkhel Chu and reach to Mola Lek. From Mola Lek, you can view an out over the main valley and return back to Chharka bhot. Overnight Chharka Bhot. In this day after early breakfast, we will continue our trail across the snow-covered side stream and along the north side of the Thansan Khola. Today's trail will goes ups through the arid high land until you will reach to Norbulung, which is situated at the summit of 4750m. Overnight at Norbulung. As we explore the Norbulung, then we will leave this village after breakfast and head towards the Camp by following Newar Pass. Overnight at Camp. Next morning, after breakfast, we will head towards Sangda, which is situated at the summit of 3710m. Today the trail goes with several ups and downs and finally reaches the village Sangta. Overnight at Sangda. After breakfast, today we will climb the hill behind Santa and spent most of the day making a high traverse, crossing nine ridges to a final crest at 4280m. the further trial will be descending into the Kali Gandaki valley, traversing under high cliffs and descending to the large village of Phalyak. Overnight at Phalyak. Today, after breakfast, we will continue our trail towards Jomsom from Phalyak. We climb to a ridge at 3360m and make a final descent on a challenging trail of loose rocks to Jomsom at 2670m. Jomsom is also regarded as one of the famous tourist destination and gateway to many trekking destinations. Overnight at Hotel. Early morning, we will have a tea and take an air flight to Pokhara. As you reach Pokhara, you will transfer to the hotel where you can take some rest and take breakfast. After breakfast, you will take a connecting flight to Kathmandu, the capital city of Nepal. During your 30 minutes flight, you will have a magnificent aerial view of the great Himalayas and native settlements. Overnight at Kathmandu. 	Air Fare from Kathmandu - Nepalgunj, Npalgunj - Jumla and Jomsom - Pokhara, Pokhara - Kathmandu.  Special permit for Upper Dolpo and Mugu.